My late season of “everbearing” Heritage raspberries is coming in dribs and drabs. There are just enough flowers to keep the bumblebees coming back to the raspberry patch, and just enough fruits to keep me checking on them every few days. 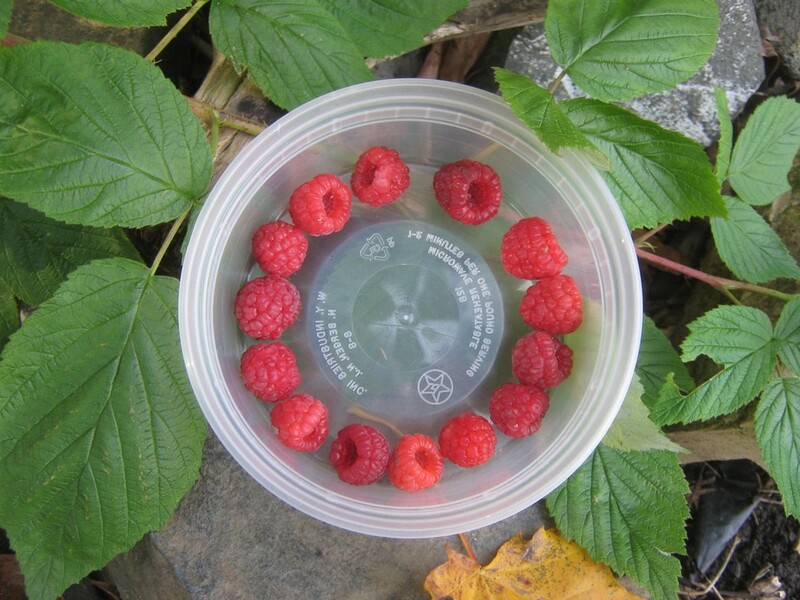 Some days, I almost get a handful of raspberries!